In 2012, Stream Creative completed a redesign and website migration for R&R Insurance, Wisconsin’s largest independent insurance agency. The goal of the project was to move R&R to a user-friendly content management system and also improve overall web presence. HubSpot was the chosen platform and a strategic, inbound-marketing focus was also implemented, geared toward developing valuable content including blogs, video, social and more. As a result of these efforts, in 2014, R&R Insurance Services’ website was named as National Underwriter’s Best Agency Website. Although the website was recognized nationally, in 2015, the team decided ‘we can do better’. 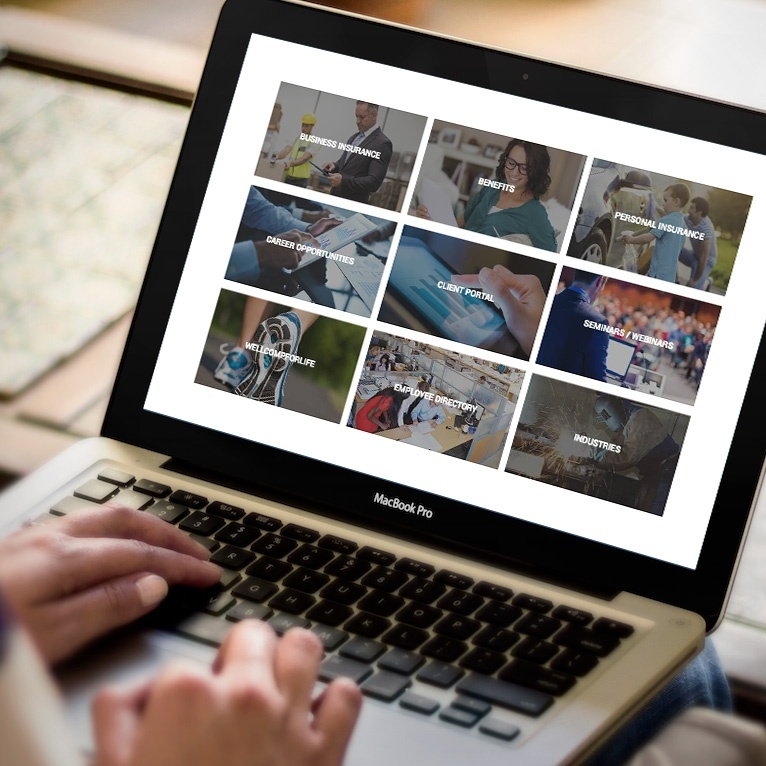 Stream Creative developed a plan with the primary goal in mind to redesign the site for easier navigation, modernized design, improved mobile usability and help lay the ground work for future dynamic content opportunities. The team took a data-driven approach by using Hotjar to track user clicks and interaction within the site to identify underperforming areas. Content integration was completed using HubSpot’s new Content Staging Area. This allowed migration of site pages to a new template without having to copy and paste content. As a result of using this tool, no SEO disruptions took place while moving 200+ website pages. 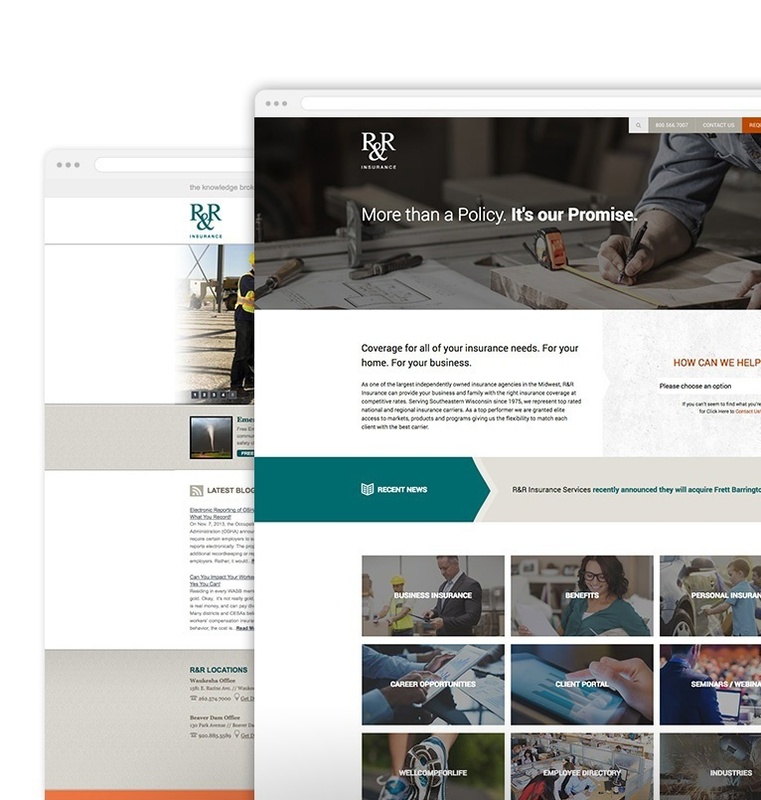 After the launch of the website in October 2015, R&R Insurance saw an 84% increase in website traffic and a 21% increase in leads over same month prior year. 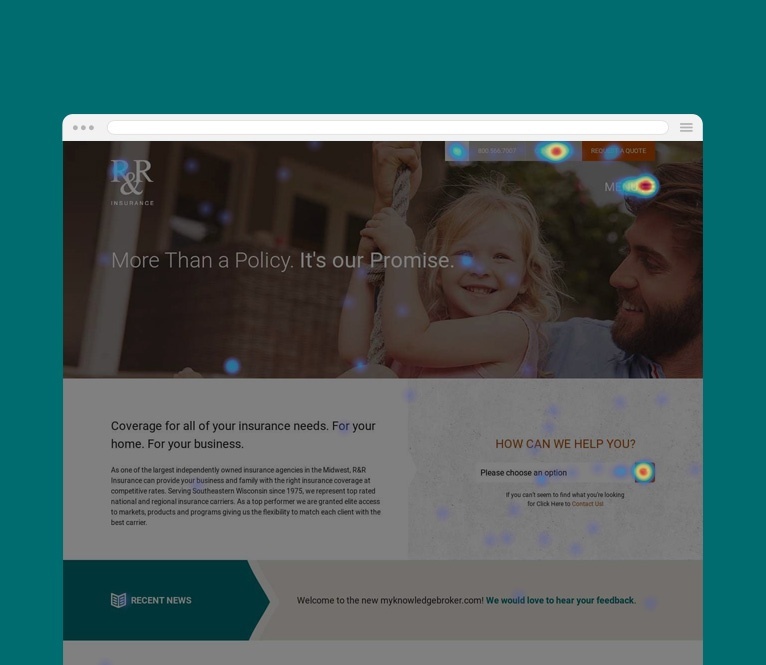 R&R Insurance Services' website was awarded a Hubspot Impact Award for Best Client Website Design.